What are University Foundation courses? University Foundation courses are an alternative to A levels for UK university entrance. These courses are aimed at students aged 18 or more who have already completed secondary education in their own country. Not all CIFE colleges offer University Foundation courses, but if you contact us we can put you in touch with the colleges which do. What entry qualifications do I need for these courses? You should have completed pre-university level (that's usually high school education) in your own country with satisfactory marks. You should also have an accepted English Language qualification. 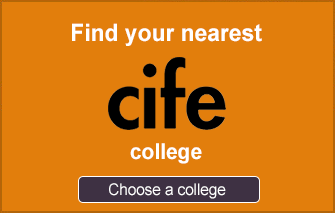 CIFE colleges which offer University Foundation courses will be happy to tell you about their entry requirements if you email them. Our FAQs for international students explains about other aspects of admission such as visa requirements. What do University Foundation courses include? University Foundation courses focus on a specific area such as Business Studies, Engineering, Science etc. They also include classes in English, work on study methods, living in the UK etc. You are likely to spend much of the day in class, and you will find that most of the work you do contributes to your final mark for the course. Our advice page on choosing the right University Foundation Programme will give you more information. Is University Foundation better than A level? The failure rate is lower than A level, although you will need to get high marks on Foundation courses if you want to go to a better university. The high success rate and the need to spend only one year on the course make University Foundation courses a popular alternative for older overseas students. However, unlike A levels, University Foundation is not accepted by all universities. You are likely to need A levels for the high-ranking courses. You should therefore check which university degrees accept the University Foundation course offered by the college you are thinking of joining. See our advice page A levels or International Foundation for more details. Are these courses the same as 'Access' courses? 'Access' is a general term for courses which provide a way to university for people without A levels. There are many 'access' courses aimed at mature (that usually means 'over 21') UK students who have spent some time in a job and now want to go to university. However, these courses are not usually suitable for overseas students because they do not include enough teaching in English Language.